Dr. Bergamini's office is conveniently located in downtown Naperville, Illinois. Our expert surgeon, Dr. Jay Bergamini is dedicated to providing you and your family with the absolute best patient care and advanced oral surgery available. Our promise is simple, to treat you as we would our own family. Dr. Bergamini is an Oral & Maxillofacial Surgeon with many years of experience in his field. With advanced training in the diagnosis and treatment of oral and maxillofacial conditions, Dr. Bergamini is qualified to assist you with a wide range of treatments, many of which are unavailable from general dentists. 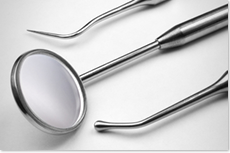 Our services include: wisdom teeth removal, dental implants including "teeth in a day" and "All on 4" implant placement, IV (intravenous) sedation, management of facial injuries and infections, treatment of dental and skeletal deformities, oral cancer screenings, and surgical management of facial and jaw pathology. 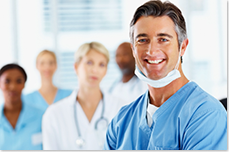 Our staff is committed to provide exemplary patient care in a comfortable, relaxed environment. The goal here is for each patient who comes to Dr. Bergamini's office to leave with a genuine smile and to recommend us to friends and family. This means working closely with insurance providers, offering safe and effective sedation options, and thinking of the small things that make a visit to our office a great experience. Dr. Bergamini's office is proud to serve the communities of Naperville, Aurora, Wheaton, Lisle, Bolingbrook, St. Charles, Downers Grove, and surrounding areas. We work in partnership with many great general dentists in the area to give our patients the most advanced and personalized patient care possible. Your dentist may refer you to us for a specific procedure such as dental implants, but we are happy to work with walk-in patients as well. Contact Us or Request An Appointment with our office today. We are happy to help in any way possible.